Here’s my February design board. 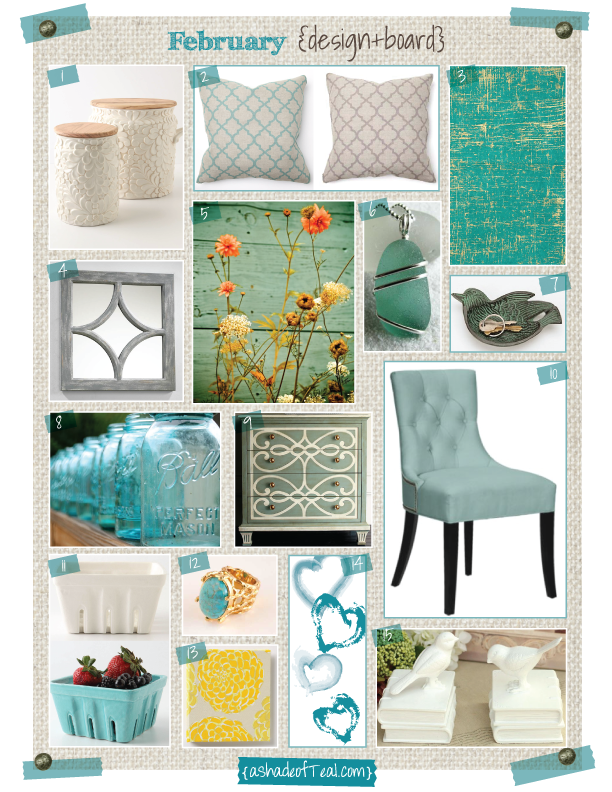 Its a collage of several pictures, products, prints, fabric, furniture, etc… that I find inspirational or just plain want! 14. Hearts doodle, by me!